Tiger Woods has described himself as a "walking miracle" ahead of just his second Masters appearance in five years. 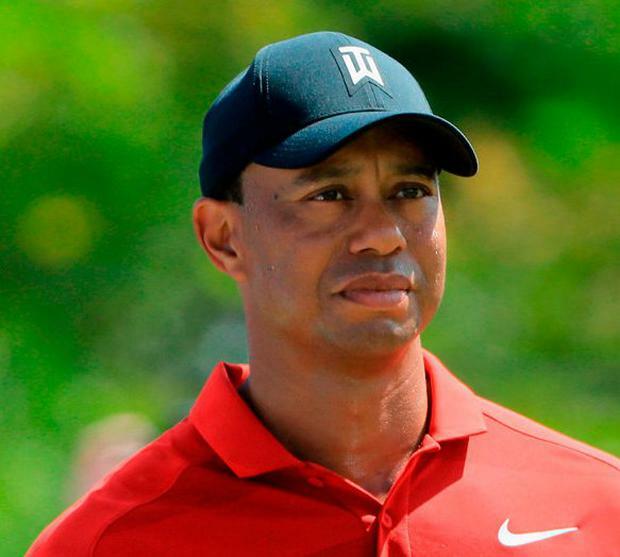 Woods attended the annual Champions Dinner at Augusta National last year but was in pain from leg and back injuries - "I was debilitated" he said - and did not compete. "That's kind of funny," Woods said in a post on his website. "Quite a shift. Six months ago the odds were I wasn't even going to play. "It's been tough just going to the dinner. I'm not retired. Watching the guys and hearing their excitement about playing was difficult. It was also sad not having Arnold [Palmer] there. It left a big void." Speaking about the impact the spinal fusion has had on his life, Woods added: "I got a second chance on life. I am a walking miracle. "I've been better with each week I've competed. A little more crisp. I'm starting to put the pieces together." The former world number one is currently ranked 104th in the world and was not eligible for last week's WGC-Dell Technologies Match Play, but used the time to play Augusta for the first time since the final round of the 2015 Masters, when he finished 17th. "They resurfaced a few of the greens, but they still look like they've been there for 100 years," added Woods, who played two practice rounds and was joined for nine holes each day by Bryson DeChambeau. "The course was in fantastic shape. My yardage book was basically the same. "I'm just really looking forward to playing. It's the best run tournament in the world. The golf course, the patrons, the entire atmosphere. It's a golfer's heaven." "I'm just there to win," he added.